Guwahati wore a bridal look during Advantage Assam, the global investors’ summit, which was held on February 3 and 4. The decision to illuminate the stretch of the highway from LGB International Airport to Khanapara and some of the other parts of the city added to the colour. 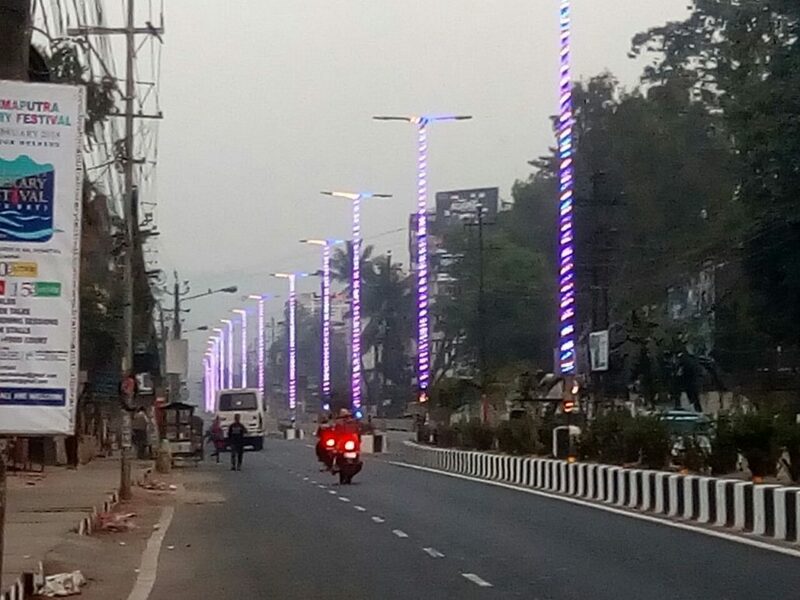 It is good to see that the Kamrup (Metro) administration has retained the multi-coloured Chinese LED lights even after the completion of the investment summit. The blue-white LED lights in the evening present a positive impression to tourists and other visitors about the city. The colourful decoration lights will definitely add to the power bill of the implementing agency. Which government agency is going to bear the burden of the additional power bill from the APDCL? Is it the Guwahati Municipal Corporation or the GMDA? When Assam is energy-starved, what was the requirement to light up the city with the blue-white LED light during the investment summit? Are all the villages of Assam getting power supply 24×7? Or, our government is keeping them in the dark to light up some of the areas of the capital city? Sometimes it is shocking to see the blue-white LED lights in full glow even up to7.30 amin some of the areas, especially the RG Baruah Road. Why do we need the colourful lights when we already have the sunlight in the morning? Are we going to penalize the person who forgot to switch off the lights even at7.30 am? It has also come to notice that the administration has removed the old lamp posts which were on Ganeshguri flyover. Who took the decision to remove the lamp posts from the flyover? What will happen when the decorated China-made LED lights stop working? Will the flyover be allowed to remain dark at night? Beautifying Guwahati is definitely our dream. But, it should not be at the cost of others.